As the fastest growing animal protein, aquaculture is the center of conversations beyond the circle of animal agriculture. And the most common circle these days discussing aquaculture is soybean. The U.S. Soybean Export Council (USSEC) and Soy Aquaculture Alliance (SAA) joined forces to host the 2017 Aquaculture Educational Opportunity in Panama City, Panama. 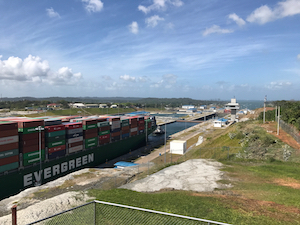 U.S. soybean growers, researchers and aquaculture experts gathered to take in the latest and visit the Panama Canal to witness the center of global trade and the import role U.S. soy plays in the international economy. 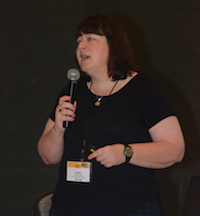 SAA Executive Director, Bridget Owen, has spent her career devoted to the soybean community working at various levels of the supply chain. Now on the receiving end of the protein, Bridget shares the role of SAA and what this growth in aquaculture means to U.S. soybean growers. “We have incredible resources that allow us to be competitive. Number one is our U.S. soybean growers who produce a very high quality, consistent and cost effective product. U.S. is a fantastic resource for the aquaculture industry in the U.S. and overseas. We also have incredible transportation resources and access through the Panama Canal to overseas markets lets us compete. The ability to move our soy products overseas quickly and in a cost efficient, secure way is important to our customers. There are some many ways U.S. soy delivers to our customers domestically and internationally and our infrastructure is a part of that,” she added.